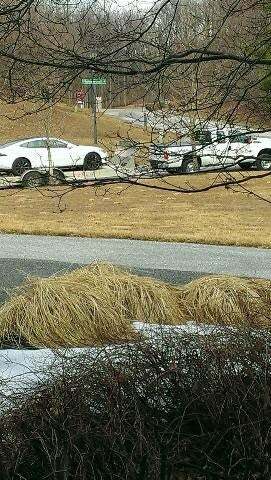 I was sent this picture of one of the neighborhood's Tesla's being taken away on a trailer. The truck apparently said Tesla on the side so I'm assuming the owner was having issues with it. Anyways, after all this talk lately about Tesla selling cars themselves, I have a question about car dealerships. Are the dealerships given licenses to sell cars or are the franchised? In other words, do auto dealerships function like a McDonald's, where anybody can pay McDonald's some money and start their own franchise? If that isn't how they work, couldn't Tesla run its dealerships like that in states that don't allow direct to customer sales? It isn't really eliminating the middle man, just streamlining the process.